^ 因为阿伏伽德罗常数NA被定义为在12克碳12所包含的原子数目，由此得出1 u是1/（103 NA） kg. ^ 在维维亚尼肯定比萨塔实验发生的那个时刻，伽利略还没有得到他的自由落体定律的最终公式。但是他已经得出一个较早版本的公式，预测“物质构成相同”的物体，不论大小，在相同媒质中下落的速度是一样的。参见： Drake, S. Galileo At Work. University of Chicago Press. 1978: 19–20. ISBN 0-226-16226-5. ^ Rindler, W. Relativity: Special, General, And Cosmological. Oxford University Press. 2006: 16–18. ISBN 0-19-856731-6. ^ Drake, S. Galileo's Discovery of the Law of Free Fall. Scientific American. 1979, 228 (5): 84–92. Bibcode:1973SciAm.228e..84D. doi:10.1038/scientificamerican0573-84. ^ Galileo, G. Dialogue Concerning the Two Chief World Systems. 1632. ^ Galileo, G. Discorsi e Dimostrazioni Matematiche, Intorno à Due Nuove Scienze 213. Louis Elsevier. 1638. Translated in Crew, H.; de Salvio, A. (编). 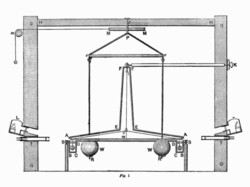 Mathematical Discourses and Demonstrations, Relating to Two New Sciences. Dover Publications. 1954. ISBN 1-275-10057-0. Also available in Hawking, S. (编). On the Shoulders of Giants. Running Press. 2002: 534–535. ISBN 0-7624-1348-4. ^ Hooke, R. An attempt to prove the motion of the earth from observations. Royal Society. 1674. ^ Turnbull, H. W. (编). Correspondence of Isaac Newton, Volume 2（1676–1687）. Cambridge University Press. 1960: 297. ^ Hawking, S. (编). Principia. Running Press. 2005: 15ff. ISBN 978-0-7624-2022-3. ^ Whiteside, D. T. (编). The Mathematical Papers of Isaac Newton, Volume VI（1684–1691）. Cambridge University Press. 2008 [12 March 2011]. ISBN 978-0-521-04585-8. ^ Cuk, M. Curious About Astronomy: How do you measure a planet's mass?. Ask an Astronomer. January 2003 [2011-03-12]. （原始内容存档于2003-03-20）. ^ Rindler, W. Relativity: Special, General, And Cosmological. Oxford University Press. 2006: 22. ISBN 0-19-856731-6. ^ Eötvös, R. V.; Pekár, D.; Fekete, E. Beiträge zum Gesetz der Proportionalität von Trägheit und Gravität. Annalen der Physik. 1922, 68: 11. ^ Taylor, E. F.; Wheeler, J. A. Spacetime Physics. W. H. Freeman. 1992: 248–149. ISBN 0-7167-2327-1. ^ Oas, G. On the Abuse and Use of Relativistic Mass. 2005. arXiv:physics/0504110 [physics.ed-ph]. ^ Okun, L. B. The Concept of Mass (PDF). 今日物理. 1989, 42 (6): 31–36. Bibcode:1989PhT....42f..31O. doi:10.1063/1.881171. （原始内容 (PDF)存档于2011-07-22）. ^ Rindler, W.; Vandyck, M. A.; Murugesan, P.; Ruschin, S.; Sauter, C.; Okun, L. B. Putting to Rest Mass Misconceptions (PDF). 今日物理. 1990, 43 (5): 13–14, 115, 117. Bibcode:1990PhT....43e..13R. doi:10.1063/1.2810555. （原始内容 (PDF)存档于2011-07-22）. ^ Sandin, T. R. In Defense of Relativistic Mass. 美国物理杂志. 1991, 59 (11): 1032. Bibcode:1991AmJPh..59.1032S. doi:10.1119/1.16642. Sir Isaac Newton; N. W. Chittenden. Newton's Principia: The mathematical principles of natural philosophy. D. Adee. 1848 [12 March 2011]. （英文） 《斯坦福哲学百科全书》："The Equivalence of Mass and Energy" by Francisco Flores. 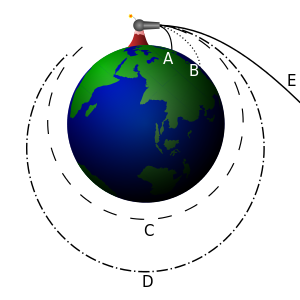 （英文） "The Mysteries of Mass", 《科学美国人》杂志, July 2005. （英文） "Does mass change with velocity?" （英文） "What is the mass of a photon?" （英文） "The Origin of Mass and the Feebleness of Gravity. "诺贝尔奖获得者弗朗克·韦尔切克的讲座录像. （英文） Okun, L. B., "Photons, Clocks, Gravity and the Concept of Mass". Slides for a talk. （英文）The Apollo 15 Hammer-Feather Drop.